Wed., July 25, 2018, 5:31 p.m. The strong air-travel business continues to give a lift to Boeing, as the aircraft maker reported Wednesday that second-quarter profit rose 26 percent to $2.2 billion. Boeing Co. raised its forecast for full-year revenue but left its profit outlook unchanged, reflecting continuing hitches in its program to build a new refueling tanker for the U.S. Air Force. The shares fell $7.58, or 2.1 percent, to $350.69 in midday trading, helping put the Dow Jones industrial average in the red. Chicago-based Boeing delivered 194 airline jets in the quarter, 11 more than a year earlier, and booked 239 new orders including 91 higher-priced widebody aircraft. CEO Dennis Muilenburg said the market is putting pressure on Boeing to further increase production of some planes. Boeing executives said the company can meet promised aircraft deliveries despite problems in getting key components including fuselages and engines from suppliers. “We are as optimistic about our future and the future of our industry as we have ever been,” Muilenburg declared on a conference call with analysts and reporters. Boeing’s defense business, however, was less profitable than a year ago partly because of $426 million in unexpected higher costs related to the KC-46 refueling tanker. Boeing expects to deliver the first of the tankers to the Air Force in October, and executives said it will eventually begin contributing to cash flow, but not this year. Boeing reported that its “core” profit excluding charges for the tanker and other items would have been $3.33 per share. Analysts surveyed by FactSet had expected $3.25 per share on average. Revenue rose 5 percent, to $24.26 billion, also higher than the $24.04 billion that analysts polled by FactSet had expected. Boeing raised its forecast of full-year revenue by $1 billion to a range between $97 billion and $99 billion, but it did not increase its expectation for earnings and lowered its forecast of profit margin in the defense business. CFRA Research analyst Jim Corridore lowered his estimate of full-year earnings by about 2 percent but remained upbeat on the company. 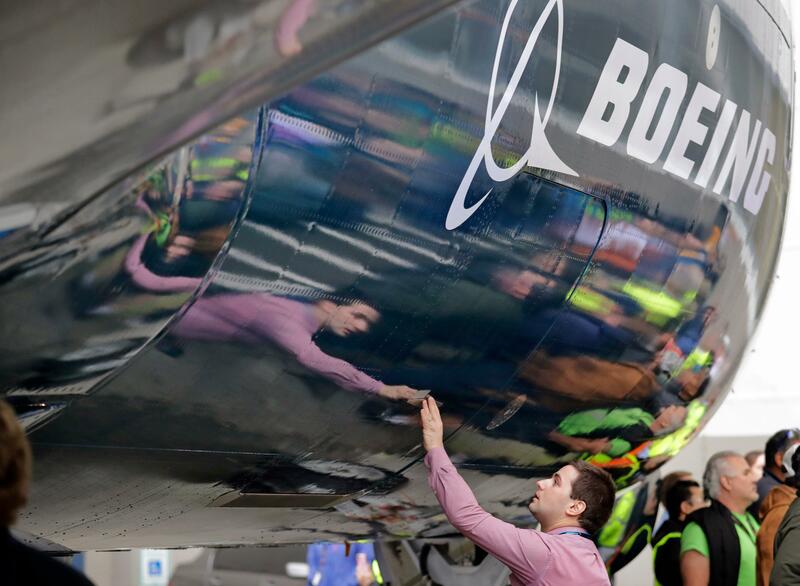 He said aircraft demand remains strong, Boeing has gained market share from European rival Airbus, and its backlog of orders grew in the quarter. Boeing shares were up 21 percent for the year at the beginning of trading Wednesday, continuing a long rally that began around the time that President Donald Trump was elected in November 2016. The shares have dipped about 4 percent in the past six weeks, however, as Boeing was increasingly seen as a potential target of retaliation against Trump’s tariffs and trade policies toward China, Europe, Canada and Mexico. Published: July 25, 2018, 5:31 p.m.